Found 7 file extension associations related to Adobe Encore and 5 file formats developed specifically for use with Adobe Encore. 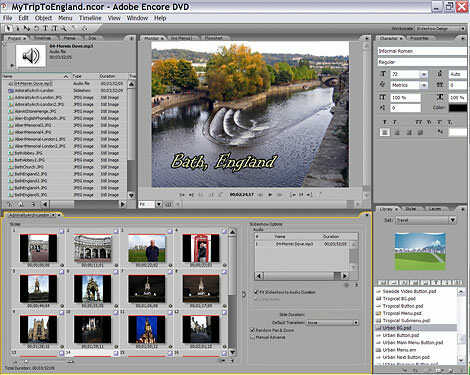 Adobe Encore software is a versatile, interactive authoring tool you can use to deliver projects for DVD, Blu-ray Disc, or web DVD, which is a full-featured SWF file viewable with Adobe Flash Player. Use flowcharts to define and view their navigation. Available in Adobe Creative Cloud. Current version is CS6. If you need more information please contact the developers of Adobe Encore (Adobe Systems Incorporated), or check out their product website.